System Professional scientists have unveiled the secret of an ideal head of hair. There are no two people with the same hair; your hair is as unique as your fingerprints. Get your personal energycode mapping, for a truly effective treatment system tailored to the individual needs of your hair and your skin. Alexim and System Professional will identify the unique profile of your hair with an ultra-personalized system to choose the best treatment possible for your hair to be done in the salon and the best combination of products to continue the care process at home. 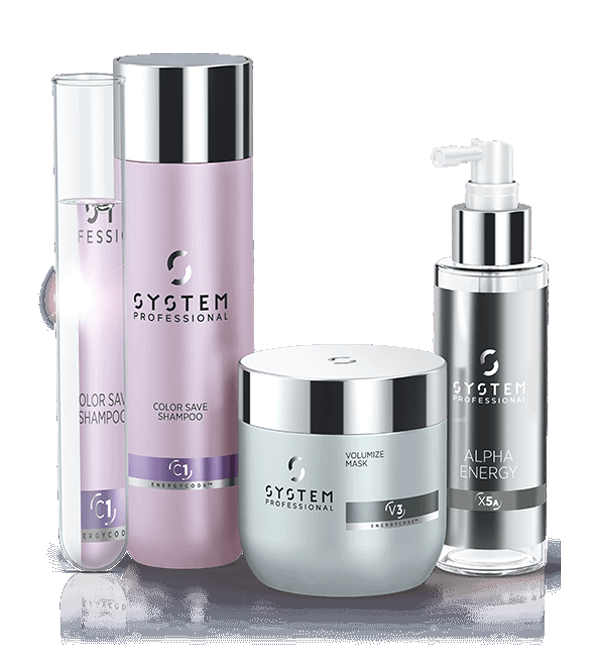 Products that restructure the hair fiber, protecting it from exposure to external influences. Products that support natural hydration, texture and shape of hair. These products give optimal energy to all types of hair. Products for a deep hair transformation and a professional salon service. After 40 years dedicated to the transformative care of hair, System Professional scientists have now become experts in ultra-personalization. They found out that each person’s hair has a unique profile and energy that determines elasticity, fiber health and reactivity. Defined by the lipid level of the hair, by the glue that connects the keratin to ensure the integrity of the cuticle and its flexibility, this personal “fingerprint” of the hair has an active influence on their energy. The new System Professional’s EnergyCode™ Complex technology has been created to restore the natural balance of lipids and protect keratin for hair that feels reborn to an original state, visibly healthier and more responsive to touch, styling and color. 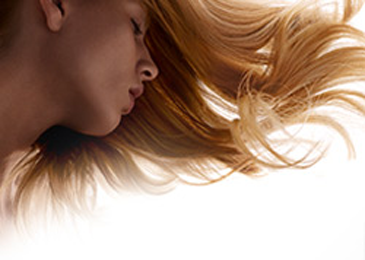 By mapping each hair’s energy profile, we can assign a unique EnergyCode for each individual among more than 174 million combinations: a hair care system coded in order to be ultra-personalized that maximizes hair energy and transforms the care into a truly transformative treatment and an exclusive salon experience. Stanche di aspettare che i capelli ricrescano? Nel nostro Salone Alexim Parrucchieri trovate le extension capelli Balmain, la soluzione per ottenere subito un look diverso e d'impatto. Questa Primavera/Estate 2019 è tendenza capelli ombré: delicate sfumature che regalano colore e luminosità alle lunghezze, dal biondo alla nuova colorazione Ash Mauve.